On the news this morning: Canadian beekeepers (who tellingly, refer to themselves as a “community” rather than an “industry”) are launching a class action suit against the makers of neonicotinoid pesticides, for the damage (havoc) their products have caused to bee populations. It inspired me to repost this column I wrote for the Winds of Change’s Wellness Almanac. 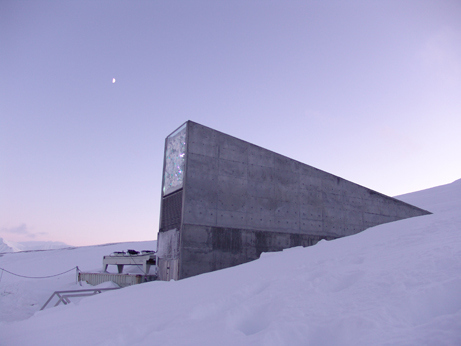 I’ve been thinking about the Doomsday Seed Vault lately. Officially known as the Svalbard Global Seed Vault, it was started in 2008 and now contains upwards of 1.5 million distinct seed samples, serving as a kind of safety deposit box of plant diversity. I wonder who it’s beneficiaries will be. Aliens? The handful of survivors of the next Ice Age who’ll be charged with re-wilding the Earth? Given that the highly-secured bombproof Vault was financed by Norway, the Bill & Melinda Gates Foundation, the Rockefeller Foundation, Monsanto Corporation and the Syngenta Foundation – the latter parties being deeply invested in the patenting and genetic engineering of plant seeds and the sale of chemicals – I suspect the “benefactors” already have their own Master Plan for the seed stockpile. Sigh. 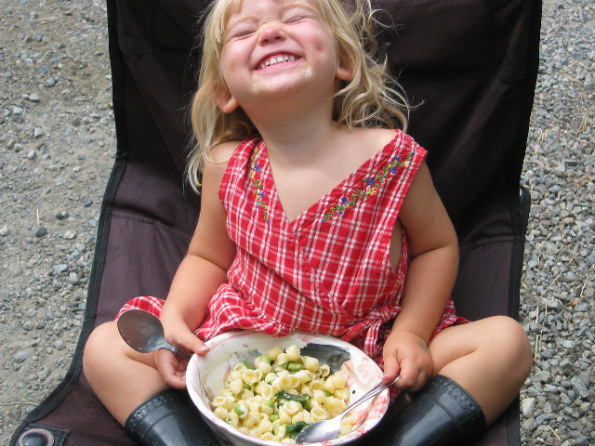 Cindy Filipenko asked me recently to recount how last weekend’s Slow Food Cycle got started. “Every time I say something these days about Slow Food Cycle, it sounds like it had radically political roots,” I replied. It didn’t. I wasn’t politicized about food and farming 10 years ago. I just wanted to deepen my personal relationship with this place, and maybe become a better cook and gardener, less reliant on frozen pizza for sustenance. 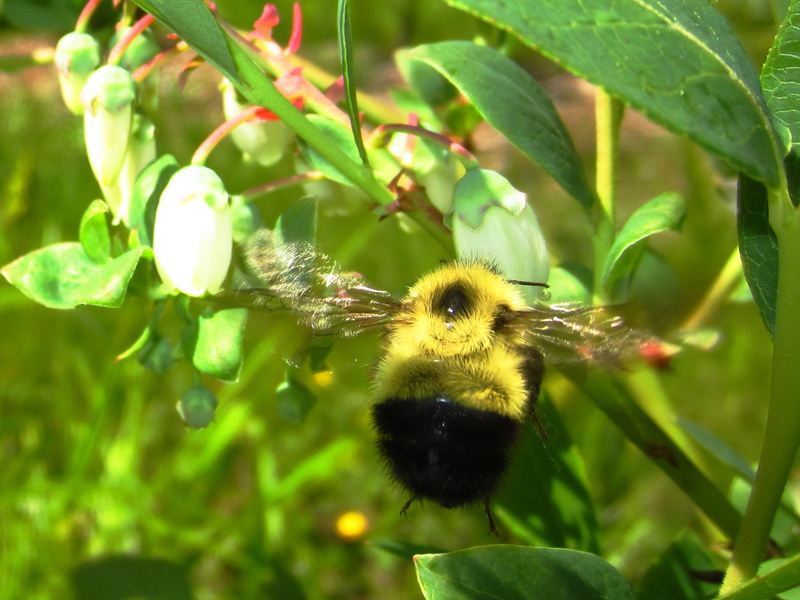 But the more I read about the money behind the Seed Vault, provincial farm legislation, the bee crisis, the pesticide-drenching strategy of non-organic BC blueberry farmers to combat the Spotted Winged Drosophila, the more afraid I am of collapsing in a heap of despair. 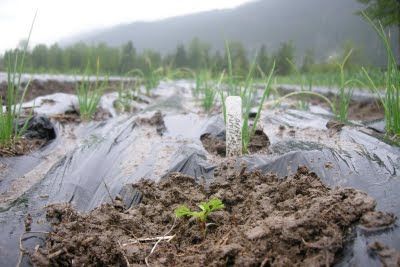 And the more I appreciate living amongst dry-humoured hard-working organic farmers, community gardeners, seed-swappers and Farmers Market supporters. 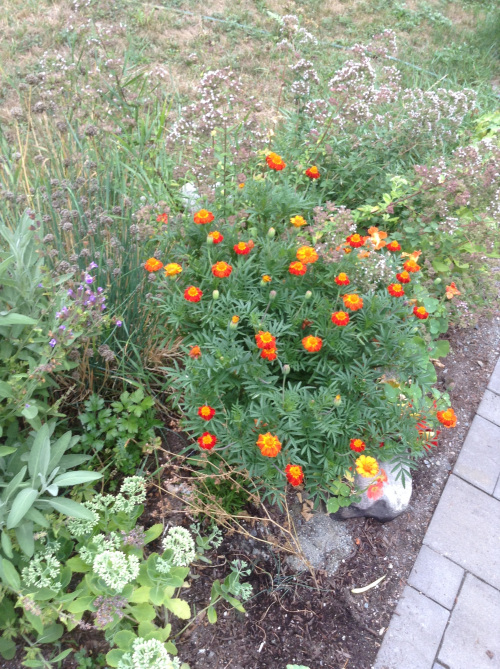 The marigold seeds were originally given to Jeanette Helmer at a seed swap she hosted. Jeanette showed Anna how to save the seed and plant it, and now Anna starts a hundred plants to give to friends and the WI Plant Sale. That idea, that ordinary people, rather than an edifice or an institution, are the custodians of culture, took deep root in me. 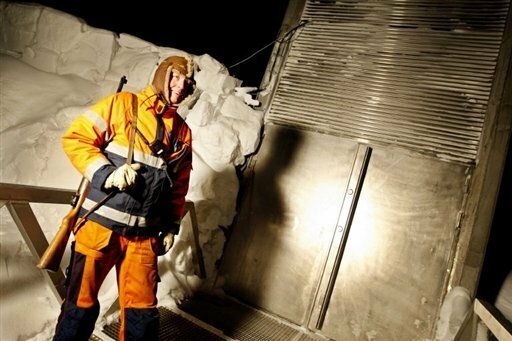 And the more I think about the Global Seed Vault, the more I want to pull seeds, untreated unengineered seeds, out of frozen storage and start passing them around, swapping them, saving them, sharing them. PLANTING them. Engineering a different kind of future by growing from swapped seeds, year after year. And this is what keeps me from that curled heap on the floor: a big bushy marigold, some Pemberton potatoes and a dozen tomato plants that were gifted by a friend (thanks Rachel and Derek!) in an experimental garden, that couldn’t feed my family, yet, but that anchors me to this place, this earth, this community, and a future that just might be okay. Previous Post How’s Motherhood?! Did you really just ask me that? Next Post #50DayWellnessChallenge. Start Now. Fall off the wagon. Begin again.